When he was just eighteen, Eric David Dawson co-founded the non-profit Peace First based on the idea that young people can change the world for the better--not someday, but right now. Twenty-five years later, Peace First has reached millions worldwide, teaching young people how to become peacemakers and create real change. 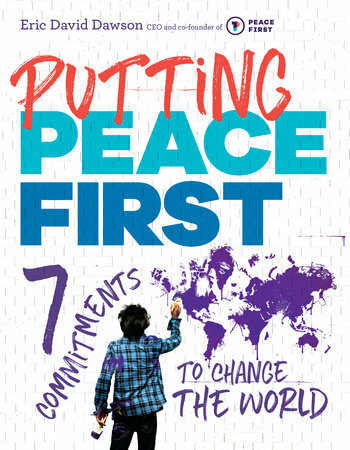 Now, Dawson has written PUTTING PEACE FIRST, the handbook every aspiring peacemaker needs. Using the inspiring stories of real life peacemakers, each chapter highlights a different aspect of peacemaking, from Opening Your Heart to Taking a Stand. With clear, step-by-step explanations of how each peacemaker achieved their goals, this book is a guide for anyone who wants to make a difference.